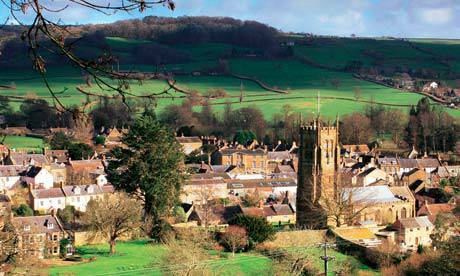 Beaminster is a picturesque small market town in Dorset, equidistant between the towns of Yeovil and Dorchester. It is the perfect spot for those looking for a weekend of rural relaxation. In the town there are cosy pubs, convenience stores and the odd boutique selling cards, local art and the usual country craft trinkets. On a dry day there are many lovely walks to be enjoyed along by the river or a short drive away you can reach the beaches of Burton Bradstock or West Bay. The Beaminster Festival of Music and Arts is an annual event and a popular highlight in the town's calendar. This week long event takes place from 30th June this year, further details can be found on the website link. Farr's Coach House is a short walk from the town square and just perfect for an individual seeking some quiet time away or a couple looking for a romantic break. The coach house is luxuriously appointed with under floor heating, cream leather sofas, sleek bathroom, king-size bed and welcome hamper containing local treats. The property is small but, perfectly formed seamlessly blending the traditional features with modern style. There is off road parking, towels and robes provided along with cosmetics. In the summer months guests can enjoy the small garden complete with furniture and barbecue. Although a stay is generally on a self-catering basis it is possible to organise bespoke catered options on request at the time of booking. Beaminster is lucky enough to be the professional home of celebrity chef, Mat Follas. Avid cookery fans will know Mat as the winner of Masterchef in 2009, who wowed the judges with his trio of rabbit, spider crab thermidor and mouse of lavender with blackberry. The Wild Garlic is located on the town square and offers private dining options along with the restaurant and more casual bar and grill. Dishes are created from locally sourced produce that are seasonal and hearty. Booking is advised and, for the restaurant, essential. It's worth noting that the restaurant opens for dinner on a Thursday, Friday and Saturday 7pm-9pm. Plan and book a little in advance and you won't be disappointed.